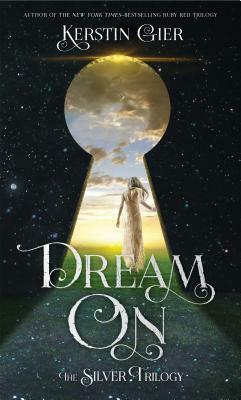 recommended for: Fans of Stephanie Kuehn or E.L. Lockhart, or other magical, wistful books. In a sea of similar-looking contemporary romances, McLemore's vibrant magical realism is as fresh and sweet as a rose. It's the story of a boy struggling with his trans identity, a girl fighting against the demons of her past, incarnate in the roses that grow from her wrist. It's about families natural and chosen, about sisters fighting to maintain their places in a world where all they have is each other. It's about first love and the jagged pain of loss. Above all, McLemore's writing is beautiful. Her descriptions are poetry, her images overflowing with vivid descriptors and multiple layers of meaning. You have to dig into her language, unfold it like the interwoven petals of a rose. There were so many places that I highlighted and read over a couple times before moving on, because a sentence was so apt, so breathtaking. It's the kind of writing that leaves you feeling tingling and magical. Sometimes it's too beautiful for its own good; there were places where I felt bogged down in metaphor and poetry that, while gorgeous, dragged over-languidly along. Sometimes I wondered if the magic wasn't too bizarre, too heavy handed. The shift really came in how I read it. It's not the same as most books out there, action-oriented and present-centered. It's slow moving. It's a fairy tale. Reading it like a fairy tale made me better appreciate McLemore's artistic genius and the subtle unfolding of her storytelling. It reminded me of Salvador Plascenia's People of Paper, another dense and magical book for the adult literary shelves. I had to accept that her style is truly literary, and this wasn't going to be a quick, easy book. It would take time to sink in, linger, wait and pause. It dwells a great deal in the past and there are assumptions you have to make about characters' feelings and motivations that aren't explicated in the direct way of other novels. In particular, I had a hard time getting a handle on the Bonner sisters. As the primary villains of the tale, I found them somewhat opaque. I was being told why they did what they did and, while I did come to understand them more as pages passed, I didn't quite feel their motivations for myself. That said, I did really connect with Miel and Sam. While I did have to accept some behaviors on faith, their quick romance and some of their episodes of anger and forgiveness that seemed overly fast, I also came to know them deeply. Miel is fragile and fierce, Sam is generous and hidden. Their voices pop off the page. I lived in their heads, felt their struggles and emotions keenly. When they hurt (that scene with Miel!) I felt it like a punch to the gut. Moreover, the sense of culture in this book is phenomenal. McLemore's descriptions of food and customs, her judicious use of Spanish and Persian words, envelops you in the worlds of Miel and Sam's cultures rather than simply telling you they exist. The whole time, she attended carefully to their multiple identities: Miel's Latinx heritage, the bruja culture. Sam's Pakistani background, the intersection of Pakistani customs and his difficult relationship with his gender identity. It's a clinic in how to write diversely well. The sense of culture is much stronger than the sense of place, as their town is anywhere, really, so much less grounded than who they are within it. If you've wanted a book that's sensitive to gender identity and sexuality, check it out. If you want to read a beautiful modern fairy tale, look no further. 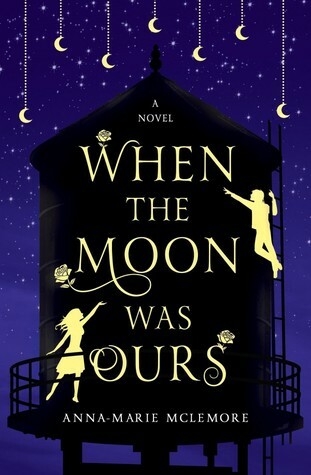 When the Moon Was Ours is a beautifully diverse fairy tale, magical and poignant. will i read this author again? Definitely bumping The Weight of Feathers up my TBR. YES! I loved this book. It definitely feels more literary than I was expecting. I agree in that it is the kind of book where you have to slow down and take in all the words. All the beautiful words. Great review!